MSU Travel Policies apply to University employees, students, and any others who travel on approved, official Michigan State University business. Each traveler must have a separate pre-trip authorization except as prescribed in 4.c.i of the Pre-Trip Authorization policies and procedures. If traveling internationally, see international travel insurance and additional pre trip reporting requirements: http://www.rmi.msu.edu/insurance/international.html. At least annually and when changes occur, MSU employees are expected to review and update their emergency contact information in the HR-Payroll system. Required to be completed in full for international travel. Local, in-state, and domestic travel may be authorized via e-mail. Group Travel: Pre-Trip Authorization Form and attach a list of travelers who are departing and returning the same dates, for the same destination, and for the same business purpose. All information described in section C.3 is required for the group. Emergency Contact information for each traveler in the group is required. Local and In State Travel: For persons who travel in-state and/or locally on a regular basis for the same business purpose which is within the prescribed scope of their duties or when several related local trips are to be made by the same person during a one year period. College or MAU Budget Officer. If traveler crosses units, departments, or colleges, all impacted areas must approve. Example: Traveler works in Engineering and travel is being paid for by College of Education. Both colleges must approve the pre-trip authorization. Travelers may not approve their own pre-trip authorization request. Approved pre-trip authorizations may be electronically attached to the relevant reimbursement electronic document in the EBS Finance System. The electronic version of the approved authorization is sufficient to serve as your original record and the paper pre-trip authorization may be destroyed once the e-Doc is in “Final” status. All MSU faculty and staff who reserve, purchase, and/or travel for Michigan State University, should complete their travel profile. Once Fiscal Officer approves, Conlin Travel will send invitation to complete Travel Profile. Important: Complete required fields, add frequent traveler programs. Recommend: Register for e-Receipt registration, Travel App participation. Electronic Invoice copies are available on Concur Travel within the traveler’s Trip Library. If traveler is not an MSU faculty or staff, Preferred Travel Agencies can provide an invoice copy. Update Profile: Annually and with new frequent traveler program enrollment. Prior to reserving and purchasing business travel, travelers should have an approved Pre-Trip Authorization. University employees are responsible for travel costs and after travel is completed, may request reimbursement via the Travel Expense Report using itemized receipts. Exception: Travel related to employee recruiting for a posted position: When directly in conjunction with interviewing and recruiting candidates for MSU employment, spouse and child travel, and other expenses related to the visit, such as lodging and meals, is reimbursable. When the unit deems this travel to be an essential part of the decision process for employment, candidates, approval must be obtained from one of the following: Provosts (including Associate and Assistant Provost), Vice-Presidents (including Associate and Assistant Vice-Presidents), Deans (including Associate and Assistant Deans), Directors (including Associate and Assistant Directors), Chairpersons (including Associate and Assistant Chairpersons), or College/MAU Budget Officer/Financial Administrator. Note: House hunting expenses are always classified as taxable income. Please see MBP Section 53 – Moving Expenses for details. Purchasing Card (P-Card) should be used for conference fees. No travel expenses may be guaranteed or paid for with the Purchasing Card. MSU Faculty and staff who have completed Travel Profiles may book and prepay travel by contacting a Preferred Travel Agency via telephone or email, or utilizing on Concur Travel (on-line booking tool supported by Conlin Travel). MSU students and guests may have travel reservations booked as “Guest Travelers” by MSU faculty/staff that have travel profiles. With the applicable department’s permission, Guest Travelers may contact the Preferred Travel Agencies via telephone or e-mail, to make travel reservations. An MSU employee with a Travel Profile must approve prepayment of airfare/rail/Michigan Flyer. MSU faculty and staff may not be booked as “Guest Travelers” in Concur or through the preferred travel agencies. Travelers do not have to pay out of pocket and wait until travel has been completed to be reimbursed. Travelers still earn frequent flyer and traveler credits. Travelers may choose to have MSU prepay air/rail/Michigan Flyer OR use personal credit cards and be reimbursed after travel has been completed. In cases of indirect routing for personal reasons, airfare/rail travel cannot be prepaid unless the cost is equal to or less than the cost of the business portion of the airfare/rail. Prepaid airfare/rail and Michigan Flyer charges are posted to MSU accounts the month following the purchase of the ticket. For example, purchases made in March will appear on April financial statements. It is the Fiscal Officer’s responsibility, on a monthly basis, to verify the charges posted to his/her University account(s). “Traveler’s Last Name” identifies the traveler for whom MSU prepaid air/rail/Michigan Flyer/service fee. Beginning with the last name, this field allows for as many letters (as will fit in the cell) of the traveler’s legal name. For prepaid air/rail, there will typically be 2 entries: the airfare/rail charge and preferred travel agency service fee. The accounting information on the Electronic Invoice for airfare/rail/Michigan Flyer and service fee amount should be verified with the MSU account for accuracy. Inquiries regarding prepaid charges should be directed to the preferred travel agency who issued the invoice or Michigan Flyer when appropriate. When necessary, it is the MSU fiscal officer’s responsibility to make corrections to his/her account. The University Travel Office will work with fiscal officers to resolve prepaid invoicing issues. When not provided, travelers are reimbursed per diem for meals and with itemized receipts after business travel has been completed. Each of the University's Preferred Travel Agencies is a full–service agency offering Michigan State University business travelers and travel arrangers “One Stop Shopping”. Michigan State University business travelers are able to utilize negotiated travel discounts such for airfare, hotel, and car rental reservations. MSU business travelers are encouraged to use negotiated travel discounts to sustain programs and develop deeper discounts. Negotiated travel discounts include special considerations and services beyond negotiated rates. i. Example: Car rental discount includes Liability and Loss Damage Waiver when the MSU contract ID is utilized and rental will take place in the United States. Preferred Travel Agencies: Service & Support available 24/7/365. Services offered include, but are not limited to: travel reservations (air, rail, lodging, ground transportation) and prepayment of airfare/rail, access to travel discounts, and assistance with reservation changes and cancellations. Event, group, and meeting planning assistance are also available. Duty of Care/Traveler Assistance – pre-trip, trip interruption, on the ground, and post-trip support 24/7/365. The Preferred Travel Agencies are well versed in MSU travel policies, federal regulations (i.e. Fly America Act), and NCAA rules and regulations. For purposes of travel reimbursement, MSU business travel begins and ends at business travelers’ main place of business. A main place of business is defined by the United States Internal Revenue Service as the location where the majority of work takes place or business is conducted. In most cases, this will be an office owned and operated by Michigan State University. Definitions are modeled after the United States General Services Administration which administers application of lodging and meal per diems for the federal government. CONUS is defined as travel within the 48 contiguous United States. Local Travel is defined as travel within the home community of the traveler's main place of work or business, exclusive of on–campus travel. When University business requires an employee or University representative to travel extensively in the local area and a University vehicle is unavailable for such travel, reimbursement for expenses related to local travel may be authorized. On-campus and travel within 1 mile of main place of business is not reimbursable. OCONUS is defined as travel in which the destination or origin is outside the continuous United States including Alaska, Guam, Hawaii, Puerto Rico, and the U.S. Virgin Islands. International travel includes travel in which the destination or origin is outside the United States and its territories. Travel from the point of origin and return is considered part of international travel. For travel supported by contracts and grants, the funding agreement must be reviewed for the definition of international travel. When federal funds are paying for international travel, including Mexico and Canada, flights must comply with the Fly America Act. When documents are required for international travel, reimbursement for the application and shipping costs incurred in obtaining or renewing a passport, second passport, or visas may be made when approved MSU business travel occurs. Itemized receipts are required. Passport and visa expenses are reported with associated travel expenses submitted for the employee's trip after travel has been completed. Transportation by taxi/car service/ride share, private car, motor pool, or rental car is authorized when supported with a business purpose. Prior to departure, a cost comparison of driving personal vehicle versus motor pool or rental car should be done taking into consideration wear and tear on personal vehicle. For specific vehicle usage, driver responsibilities, and automobile accident reporting, go to the Guidelines for Automobile Use in Section 35 of this manual or the MSU Risk Management & Insurance website. Travelers should use licensed transportation companies when choosing to hire ground transportation services. Generally, MSU travelers should use transportation providers that are easily identifiable through web app photos of automobile, driver, and car license, or that have the company name conspicuously displayed on their vehicle. When on display, the following should be easily seen: driver’s license, printed schedule of rates, and contact telephone numbers for the transportation company. When securing any ride service, travelers are reminded to be vigilant about safety. Taxi/Car Service/Ride Share expenses are allowable for travel related to business. For example, taxi/car service/ride share between hotel and airport are allowable. Taxi/car service/ride share from hotel or place of business to a restaurant to eat a meal or taxi/car service/ride share for sight–seeing trips are not reimbursable. Tips for taxi/car service/ride share or limousine service are reimbursable. Tip amount is to be reasonable at the traveler’s discretion. Customary guideline is approximately 20% for good service. Mileage is reimbursed from the main place of business to the destination unless driving from home is closer to the destination. Travel from home to point of employment is considered commuting and is not reimbursable. Travel between MSU East Lansing campus and satellite offices may be reimbursed when traveling for MSU business purposes. Travelers may choose to drive their own vehicle to their travel destination provided total mileage reimbursement does not exceed $500. When used in lieu of air travel or rental car, mileage reimbursement claims exceeding $500 will not be reimbursed. Rule of Thumb: Approximately 450 miles each way or 900 miles round trip will surpass $500 in mileage reimbursement. Intent: Travelers should evaluate whether driving their own car or renting a car from one of MSU’s preferred car rental agencies is most cost effective. Renting, which results in a flat fee with unlimited mileage, can be a very cost effective method of transportation, especially with MSU discounted rates and insurance inclusions. Travelers are advised to rent a car through MSU’s program with Enterprise/National. See Section 245 for information regarding Michigan State University’s Transportation Services including Motor Pool. Rental cars may be necessary to conduct university business; therefore, the business purpose for use of a rental car must be clearly documented. If ground transportation is only needed for travel between the airport and lodging location and/or work site (conference location), university travelers are encouraged to use shuttle services and taxis. Use of a rental car for travel to/from restaurants and sightseeing is deemed to be personal and will not be reimbursed. Rental cars should be standard size or smaller class when available. Exceptions must be clearly documented. Rental of 12 – 15 passenger vans is prohibited. Car rental insurance, including Collision Damage Waiver (CDW) and Liability, are not reimbursable when renting in the United States. The Big Ten car rental agreement provides CDW or LDW and Liability when contracts are utilized. When renting outside of the U.S., it is recommended that travelers purchase liability insurance because of unique laws in foreign countries, complications in settling claims, and personal policy restrictions. Rental car Global Positioning Services (GPS) are not reimbursable. Travelers may purchase fuel service options as long as the traveler is charged for gallons used and not for a full tank. Recommendation: Travelers should fill the rental car themselves and submit receipts for reimbursement. For approved charter bus companies and guidelines for chartering bus service, see Section 35 of this manual or the MSU Risk Management & Insurance website. When choosing a common carrier, time in route should be a factor. Travel must be at the lowest, logical (considering cost and time) available airfare which is defined as coach and economy class. When travel is by rail, the fare may not exceed the lowest available airfare and most direct, expeditious route. University travelers are expected to purchase the lowest airfare on departures from Lansing, Detroit, Flint, and Grand Rapids (or any major commercial airport within 100 miles of their main place of business). Optimum pricing of airfare is typically offered 14—120 days prior to departure; therefore, MSU travelers should purchase airfare within this purchase guideline. Travelers may not purchase airfare/rail more than 9 months in advance. Any changes in travel plans booked through MSU’s Preferred Travel Agencies (PTA) that requires cancellation or revision of airline tickets, should be reported to the PTA immediately so that alternate arrangements can be made. Changes to flight reservations while in route, which do not require airfare changes, may be made directly with the participating airline. If a fare change is required, however, the University traveler should use the agency provided toll–free telephone reservations number (printed on the traveler's itinerary) for either domestic or international travel. When a trip is canceled, the Preferred Travel Agency who booked the trip should be notified immediately for possible refund or to track the unused ticket for future use. All airline coach/economy seating for which an additional fee is charged (e.g., preferred, economy comfort, exit row) is not reimbursable. Michigan State University wants its business travelers to fly without worry of being “bumped” from flights for which they have reserved and paid for tickets. Certain airlines require travelers to pay a fee to reserve coach/economy seats. Such fees are reimbursable. Upgrades, including business class, on domestic flights, require MSU business travelers to demonstrate a documented medical reason for an exception to be granted. This separate, written justification must be approved prior to booking and attached to the appropriate eDoc. Airfare costs in excess of the lowest logical available commercial restricted airfare (such as business class) may be selected for continuing flights exceeding five (5) hours of flight time to destinations outside the contiguous United States. The traveler must demonstrate a documented business or medical reason for an exception to be granted. This separate, written justification must be approved prior to booking and attached to the appropriate eDoc. In either case, approval must come from one of the following: Provosts (including Associate and Assistant Provost), Vice-Presidents (including Associate and Assistant Vice-Presidents), Deans (including Associate and Assistant Deans), Directors (including Associate and Assistant Directors), Chairpersons (including Associate and Assistant Chairpersons), or College/MAU Budget Officer/Financial Administrator. This may not be delegated. Travelers must compare airfare costs when choosing to travel from a location more than 100 miles from their point of employment. Travelers are expected to obtain written quotes from Michigan State University's preferred travel agencies when choosing to travel from Toronto or Chicago. Based upon these airfare quotes, the traveler would be reimbursed the lower of the two airfares. Exception: Traveler is temporarily stationed away from main place of business. In this case, airfare should be from the closest airport to the Traveler’s temporary location. In case of indirect routing for personal reasons, the extra transportation costs will be at the traveler's expense. Travelers are expected to obtain written quotes from Michigan State University's preferred travel agencies. Based upon these airfare quotes, the traveler would be reimbursed the lower of the two airfares. University travelers are permitted to collect and retain frequent flyer miles. Travelers are encouraged to use frequent flyer miles for business purposes or upgrades on international flights. However, MSU business travelers may not choose flights for the sole purpose of collecting frequent flyer miles. If MSU business travelers use frequent flyer miles to purchase a ticket, they will only be reimbursed the out of pocket costs or associated costs of having airline tickets issued. Charter air service may be authorized when it reduces travel costs and travel time. This must be documented on the Travel Expense Report. Reimbursement for private qualified aircraft travel will be made on the basis of personal car mileage or commercial airfare; whichever is less. Approved charter/aircraft companies may be used when a pre–approved AIRCRAFT/CHARTER COMPANY QUALIFICATION FORM is on file in the Risk Management Office. Acting as a pilot or member of the crew of an aircraft is not permitted while traveling on University business. Travelers are not eligible for reimbursement when acting in any capacity other than as a passenger. Supporting documentation for airfare, whether prepaid or purchased out of pocket, must include the following information: Passenger Name, Amount Paid, Ticket or Confirmation Number, Issuing Airline or Website Provider, Class of Service, Origin and Destination, Dates of Air/Rail Travel, Flight Numbers, and Airline Operating the Flights (for verification of Fly America Act compliance on federally funded international flights. A combination of documents may be necessary in order to fulfill this requirement. Documents that may include items of information are: the airline passenger receipt, electronic receipts/invoices, credit card statements, credit card charge detail, and itineraries. These requirements apply to all airline tickets whether prepaid or reimbursable, domestic or international travel. In addition, if air or rail reservations are changed prior to or during the course of travel, the same reporting requirements apply for tickets that were exchanged or issued as the result of an exchange. If an employee is unable to travel because of illness on the dates originally ticketed, or if an employee had an illness within his/her immediate family (spouse or children) on the dates originally ticketed, the employee is eligible for departmental reimbursement. If an employee had a death in his/her family on the dates originally ticketed, MSU will follow the Human Resource Policies and Procedures Funeral Policy to determine whether the employee is eligible for departmental reimbursement. If the Unit Administrator requests the employee to be performing other duties on the dates originally ticketed, the employee is eligible for departmental reimbursement. When the scheduled MSU reimbursed trip is not taken, the nonrefundable airline ticket still has a “value”. The preferred travel agency will hold for application towards purchase of new ticket. Most airlines assess fees for checked baggage. MSU will reimburse travelers for up to 2 checked bags. Excess or oversized baggage - Business purpose for expense must be documented if reimbursement requested. Does not include accommodations on airplanes, trains, or ships, (these expenses are classified as transportation). Lodging is allowable when the purpose of the domestic travel includes multiple stops and/or meetings in multiple cities on contiguous days, including travel within the State of Michigan. Acceptable Business Purposes include safety due to weather conditions; preparation time needed for next day meetings; late appointments one day and early appointments the next. Provide personal credit card and pay for all room guarantees, deposits, and lodging expenses, and seek reimbursement after travel has been completed. MSU Purchasing Card may not be used to hold, guarantee, or pay for room reservations. Make lodging reservations that will allow cancellation without penalty. If trip is cancelled, travelers may not be reimbursed for pre-paid hotel expenses (i.e. internet reservation, first night’s deposit), cancellation, and no-show fees. Actual lodging expenses, for CONUS (Continental United States) destinations are reimbursed at cost. Lodging in the local area is not reimbursable. However, employees whose home offices are elsewhere in the state are eligible for reimbursement for meals and lodging. It is strongly recommended that on–campus facilities and MSU preferred hotels be used when available. Actual lodging expenses for destinations outside the Continental United States (Foreign & OCONUS) are reimbursed up to the published maximums as defined by the U.S. Department of State and Department of Defense according to dates of travel and lodging locale. The U.S. dollar equivalent for expenses claimed should be listed on the Travel Expense Report with documentation of the foreign travel exchange rate used and a copy of the conversion rate attached (per IX. Travel Exchange Rate policy). Approval by one of the following: President, Provost, Assistant or Associate; Vice-President, Assistant or Associate; Dean, Assistant or Associate; Director, Assistant or Associate; Chairperson, Assistant or Associate; College or MAU Budget Officer. Proof of lodging is required in order to justify Meal and Incidental (M&IE) per diem reimbursement. If any of these attributes are not presented or are lacking, additional documentation will be required. If two or more MSU business travelers share a room and share the expense, individual room receipts should be requested. Financial document numbers must be reported in each traveler’s financial documents. If the other occupant(s) who shares a room is not an MSU business traveler and there is an additional cost, the traveler may only report the cost associated with MSU business. If lodging is complimentary (e.g. hosted or staying with family, friends, etc.) and the traveler is claiming M&IE, travelers must indicate date(s) of lodging, and address of lodging (city and state or country). If no M&IE per diem is being claimed, lodging documentation is not required. When a department arranges to pay for an individual’s housing it is important to consider any tax withholding and reporting requirements. Please note below the difference between departmental paid housing for an MSU employee or student and other individuals. In all cases the Housing Assignments Office Charge Authorization Form should be completed to note the business purpose and authorization of payment and be provided to Residential Housing Services’ Housing Assignments Office when making arrangements for housing at a university apartment or residence hall. The lodging is for the convenience of the employer. The employee must accept the lodging as a condition of employment. Contact the Tax Services office to verify all three criteria have been met and proper documentation is on file at taxreporting@ctlr.msu.edu or 355-5029. When an individual is in travel status. An individual is considered to be in travel status when away from their regular place of employment for business purpose. Most enrolled MSU students and MSU employees are, by definition, not considered to be in travel status. Employees (anyone on the University payroll system) - Contact the Tax Services office at taxreporting@ctlr.msu.edu or 355-5029 for processing instructions. Lodging should not be provided in connection with a new employee moving or relocation, see Moving Expenses, Section 53. Students - For graduate students under a fellowship, process as part of their fellowship award (see Section 23 for direction). For undergraduate students and graduate students covered by a scholarship, process as part of their scholarship award through the Office of Financial Aid. M&IE is intended to substantially cover the cost of meals and incidental travel expenses such as laundry and dry cleaning. The meal portion is based on the costs of an average breakfast, lunch, and dinner at facilities typically used at that location, including taxes, service charges, customary tip, and transportation between places of lodging or business and places where meals are taken. Receipts are not required as MSU reimburses traveler M&IE unless they are hosting a meal. See Section 45, II. Business Functions for guidelines and requirements. To be reimbursed M&IE, travelers must be in overnight status. Exception: Participation in a conference or meeting requires attendance at a meal. Supporting documentation, such as conference or meeting agenda required. When travelers choose to an indirect route for personal reasons, M&IE will only be reimbursed for the time it would normally take to travel by the most direct route. A meal provided by a common carrier (airline) or a complimentary meal provided by a hotel/motel does not affect the M&IE allowance that may be claimed. If lodging receipt itemizes meals as additional cost, travelers are limited to per diem and may not be reimbursed for meals charged by hotel/motel/inn. When meals are furnished without charge, (including conference meals such as continental breakfast), the M&IE claim is reduced by the amount allocated for that meal as represented in the daily M&IE per diem allowance. If all meals are furnished without charge, incidentals are still allowable. MSU follows the U.S. General Services Administration guidelines related to meal and incidental determinations. Use lodging location to determine the applicable M&IE allowance for each calendar day in travel status. Apply the lodging location of the employee at 12:00 AM to determine applicable maximum M&IE allowance for each calendar day in travel status. The U.S. General Services Administration (GSA) establishes per diem rates for destinations within the Continental United States (CONUS), which applies to the 48 contiguous states. Per Diems are effective from October 1 through September 30 of each year. Be sure to choose the correct year when looking up per diem rates. For example, October 1, 2014 – September 30, 2015 is considered Fiscal Year 2015. M&IE listed on far right of chart by primary destination and county. If a domestic city is not listed, check to ensure that the county within which it is located is also not listed. This may be accomplished by using the search by city, state, or zip code feature on the GSA website. When the city is not listed, but the county is, the M&IE allowance is the rate for that entire county. For CONUS travel, use the Meals and Incidental Expenses (M&IE) Breakdown to lookup the allocations for each meal and incidentals. For day of departure and day of return, travelers may claim incidentals and meals incurred while in travel status. M&IE rate is based upon where traveler will be lodged (day of departure) and where they were last lodged (day of return). If no meals are incurred, traveler may be reimbursed incidentals only. The U.S. Department of Defense (DOD) establishes non-foreign rates such as Alaska, Hawaii, Puerto Rico, and Guam. The U.S. Department of State establishes the foreign rates. If a city is not listed for a particular state or country, then the “Other” M&IE rate is used. For Foreign and OCONUS M&IE, use Foreign and OCONUS M&IE Allocations to lookup the breakdown of meals and incidentals. 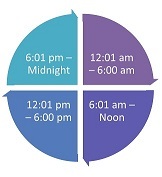 On day of departure and day of return, calculate OCONUS and International M&IE by dividing the day into 4 quarters: 12:01 a.m. to 6:00 a.m., 6:01 a.m. to noon, 12:01 p.m. to 6:00 p.m., and 6:01 p.m. to midnight. For each quarter day (or fraction thereof) that an MSU business traveler is in travel status, one fourth of the applicable M&IE rate is allowable. For meals provided on the day of departure and day of return, the entire allocated meal cost must be deducted from the decreased M&IE rate. Example: Traveler is provided breakfast at conference on day of departure. The allocation for breakfast must be subtracted from the M&IE rate for that locale. The total amount of deductions made will not cause travelers to receive less than the amount allowed for incidental expenses. Conference registration fees are to be paid in advance using the MSU Purchasing Card whenever possible. If the MSU Purchasing Card cannot be used because the conference registrar cannot or will not accept it, or because the registration amount exceeds the MSU Purchasing Card transaction dollar limitation, conference fees may be paid via Disbursement Voucher (DV) or personally by the attendee. In either case, supporting documentation must detail the attendee, date, and location of the conference. If paid personally, conference fees will not be reimbursed until travel has been completed. Travel Expense Reports submitted for conference–related travel must include copies of the conference schedule/agenda (documentation of specific items, such as meals, lodging and shuttle included in conference fee). Indicate “no meals included” if applicable. Travelers may receive reimbursement when travel has been pre-approved in accordance with MSU policy and legitimate business purposes for travel and expenditures are incurred and reported. See Section I.C. Pre-Trip Authorization for explanation. Calculation of reimbursable travel expenses is based on travel by the usual direct route utilizing an authorized mode of transportation. If the traveler plans to use a less direct route or more expensive mode of travel than authorized, bearing the extra costs him/herself, these plans should be noted in Section B of the Travel Expense Report. Additional cost resulting from stops for personal reasons are not reimbursable. See Reimbursement Chart for rates of reimbursement and listing of receipts required. MSU colleges and departments may authorize an amount less than full reimbursement. Travel Expense Reports should be submitted within 30 days of the return date of the trip. Approval from one of the following: Provosts (including Associate and Assistant Provosts), Vice-Presidents (including Associate and Assistant Vice-Presidents), Deans (including Associate and Assistant Deans), Directors (including Associate and Assistant Directors), Chairpersons (including Associate and Assistant Chairpersons), or College/MAU Budget Officer/Financial Administrator. This may not be delegated. Travel Expense Reports should be submitted within the fiscal year to which they relate. Each traveler must submit a separate Travel Expense Report for his/her own expenses unless the travel is team travel. Reimbursement for local travel should be submitted quarterly or when expenses total a minimum of $25.00. If the Traveler is not a MSU employee, please check “Other” in Section A of the Travel Expense Report. Each traveler is required to provide a detailed description of the purpose of their trip (i.e. Annual Meeting of University Travel Managers). Travel expenses must show detailed itemization of expenditures by type and cost. If claiming expenses for business guests, give name(s) of person(s), affiliation(s) and specific business purpose. The Reimbursement Chart provides receipt requirements including itemization needs. If the traveler's reimbursable expenses are limited to an amount less than actual, the limit amount should be clearly noted in the “Reimbursement Limited to” box at the top of the Travel Expense Report. This amount is transferred down to the “Limit” amount at the bottom of page 1 of the worksheet. Assignment of travel costs can be accomplished in Section D (Optional) to expedite completion of the applicable eDoc in the MSU Finance System. When utilized, the total of Section D should match the total claim or limit at the bottom of the Travel Expense Report. The final total should be on the FIRST page of the Travel Expense Report. Once complete, the Pre-Trip Authorization, Travel Expense Report and scanned receipts should be separately attached to the appropriate eDoc for review. Images of supporting documents including Travel Expense Report and itemized receipts must be attached to the appropriate eDocs in the MSU Finance System. Preparers are encouraged to attached Pre-Trip Authorizations. See http://archives.msu.edu/records/scanning.php?records_scanning for information on scanning at Michigan State University. The amount reported on the eDoc must reflect the amount of total travel expenses incurred or limited (if applicable) and applicable accounting string information. If the MSU employee traveler is the eDoc initiator, this approval is completed upon submission of the eDoc. If not, the initiator must ad hoc route the eDoc to the employee traveler for approval before further routing will continue. Traveler’s Approval acknowledges the following to be true: business purpose, dates of travel, travel destination and travel expenses. No ad hoc routing of eDoc’s is necessary for non-employees, students, and temporary employees. Those approving travel reimbursement are expected to be trained and have a complete understanding of Michigan State University's travel policies. If two or more MSU business travelers share travel expenses, the eDoc of each traveler must be reported on the eDoc or Travel Expense Report(s) of the other traveler(s). If the traveler requires additional reimbursement related to travel expenses already paid, an amended Travel Expense Report must be completed and attached to a new eDoc. The new eDoc must reference the original eDoc number and the original Travel Expense Report. The amended Travel Expense Report must be attached. An explanation for the additional reimbursement should be included in the explanation. If the payee is not a MSU employee and is not already an established vendor, the payee must be added to the Vendor system, as a Special Payment vendor type prior to creation of the DV. The traveler spends exactly the amount of the advance. In this case, the Report and receipts are attached to the DI and submitted through the required workflow as outlined below. There will be no traveler reimbursement or refund to MSU. The traveler owes MSU money because the entirety of the travel advance was not spent. In this case, the traveler writes a check to MSU which is deposited by the traveler (referencing the Advance Number) in the Cashier’s Office, 426 Auditorium Rd Rm 110. The Report and receipts are attached to the DI and submitted through workflow as outlined below. The traveler is owed money because the travel expenses were greater than the travel advance. In this case, the Report and receipts are attached to the DI and submitted as outlined below. Once Accounting approves the Report and DI, Accounting will process a reimbursement for the balance due the traveler. Accounting audits all eDoc’s and Travel Expense Reports. If there is an outstanding travel advance related to a Disbursement Voucher (DV) and Travel Expense Report being processed, the DV will be disapproved and the reason so noted. The preparer will be expected to complete a Travel Expense Report and Distribution of Income and Expense (DI) justifying the expenditure of the advance dollars and repay any unused advance funds. If the Travel Expense Report or the eDoc are incorrect, the eDoc may be disapproved by Accounting. Accounting will provide an explanation and the document will be routed back to those who took action on that particular eDoc. If disapproved, a new eDoc must be created with all required attachments and submitted through the required workflow. Travel Advances are available, on an exception basis, to MSU employees traveling domestically who are newly employed by the University or can demonstrate financial hardship. A letter to either affect must be written and signed by one of the following: Provosts (including Associate and Assistant Provost), Vice-Presidents (including Associate and Assistant Vice-Presidents), Deans (including Associate and Assistant Deans), Directors (including Associate and Assistant Directors), Chairpersons (including Associate and Assistant Chairpersons), or College/MAU Budget Officer/Financial Administrator. This may not be delegated. This letter must be imaged and attached with a Cash Advance Form (CAF) to an Internal Billing (IB) at the time of initiation in order to receive the advance. Undergraduate students on approved travel are not eligible for travel advances. An exception is made when a faculty or staff member is willing to be responsible for the advance. The student must be registered for the current semester. Once the CAF and IB have been routed and approved, the advance will be issued electronically to the faculty or staff member. For more information see Section 61. Non–Michigan State University personnel (visiting professors, retirees, visiting research associates, community volunteers, etc.) on approved MSU business travel are eligible for advances. For more information see Section 61. Independent contractors conducting business with Michigan State University are not eligible for travel advances. Graduate students are eligible for travel advances. The student must be registered for the current semester and the travel should be completed before the end of the semester. MSU Business Travelers may use their credit card statements (which will reflect expenses in both the foreign currency and converted to US Dollars). Travelers may also include currency conversion fees applicable to the MSU business expense incurred. These fees should be listed separately. Credit card statements or credit card detail for the specific charge must be included with the travel reimbursement claim. If travelers utilize this method, they may use their credit card company’s conversion rate (or average if rates change over the course of the trip) on all MSU business expenses claimed on the reimbursement worksheet. If a MSU Business Traveler converts U.S. dollars in country, such as at an ATM, the traveler may utilize that conversion rate for reimbursement. The MSU Business Traveler may claim reimbursement for any conversion fees associated with this type of transaction. The receipt(s) from the currency conversion must be attached to the travel reimbursement claim. If travelers utilize this method, they may use this conversion rate on all MSU business expenses claimed on the reimbursement worksheet. MSU business travelers may choose to utilize the Currency Converter to calculate exchange rates of any day back to January 1990. Type currency names, 3-letter currency symbols or country names to select your foreign currency. Type “1” in the Amount box. Select 4% from the Interbank rate list to better approximate the additional conversion fees charged by your financial institution. Multiply the U.S. Dollar amount times the foreign currency equivalent. Example: I made purchase in the past. How much did it cost me? When I was in Europe, I bought something that cost 500 euros on March 1, 2018. Multiply 500 times 1.27246 to get amount due traveler in US Dollars = $636.23. Print the “Travel Exchange Rates Results” and attach to travel reimbursement requests. Travel related to overseas projects of the University. Such travel is authorized, arranged and supported through the Office of International Studies and Programs. Travel by faculty members to participate as officers in international organizations. Applications for support from this fund should be addressed to the Dean of International Studies and Programs. Travel supported by the International Centers and Institutes. The International Centers and Institutes may support a limited amount of foreign travel if it is essential to their operation. Travel to participate in international meetings or to do research in foreign areas. Applications for support from this fund should be addressed to the Dean of International Studies and Programs. Travel supported by contracts, gifts or grants from outside agencies. Reimbursement may be made for necessary foreign travel from contract, gift or grant funds provided that the agreements by which the University has accepted the funds cover such travel and that such travel does not interfere with the performance of the normal duties of the traveler. Travel supported by All–University Research grants. Foreign travel may be supported by an All–University Research project to the extent that foreign travel was included in the project application and approved by the All–University Research Committee. Travel supported by cost–of–education allowances. With justification, the cost–of–education allowance which has been allocated to a college or department may be used to support foreign travel by faculty or graduate students. Cost–of–education allowances are usually designated for underwriting costs and improving the quality of graduate education rather than for the benefit of an individual. They should not be used for foreign travel unless the unit has sufficient funds to meet other more urgent needs related to graduate programs. Courses supported by outside agencies. Travel related to such courses is essentially the same as travel supported by gifts, grants or contracts. If the revenues from off–campus credit courses in foreign areas are credited to the general fund, the corresponding expenditures for travel and teaching may be charged to the general fund. If the revenues from off–campus courses in foreign areas are credited to a revolving fund, as is normally the case for non–credit offerings, the corresponding expenditures must be carried by the revolving fund. “Courses abroad” taught by MSU faculty primarily for MSU students. If the students, or an outside agency, underwrite the cost of transporting the course to a foreign area and providing the necessary physical facilities, the regular salary of the instructor may be paid from the general fund. In addition, the University may provide operational funds to the extent that such funds would have been required had the course been taught on campus. The net cost to the University should not be greater than if the course were taught on campus. Travel by persons invited to the University or asked to travel for the University may be supported by the general fund or other appropriate funds. Travel reimbursement of such individuals is subject to MSU Travel Policies and Procedures. Therefore, it is essential that departments inform all travelers of these policies and procedures. Funds made available under the All–University Research grants may be used to include foreign travel subject to the administration of such funds as indicated below. Faculty wishing to use All–University Research funds to cover travel costs will be expected to apply, in addition, for such international funds as may be available from off–campus sources such as foundations and government agencies. The application for international travel funds which is to be supported by an All–University Research grant should include information on points to which the individual will travel and the research which will be conducted at each point. Reimbursement will be limited to round–trip tourist fare, for MSU faculty members only, and for most direct routing, unless exceptions are made by the dean. In many instances there will be insufficient funds under All–University Research grants to cover the total transportation cost. The balance, additional travel costs, as well as other costs, are to be borne by the faculty member or other approved sources. The All–University Research Project involving international travel is to be carefully screened by the respective unit administrator and the dean of the college before submission of the application to the Vice President for Research Development and Graduate Studies. With the approval of the Office of Research Development and Graduate Studies, the grant will be given a project number and an account number, which should be noted on the travel application request. These funds are managed by MSU International Studies and Programs. Please visit their website at: http://www.isp.msu.edu/information-resources/faculty-funding/. When travel is funded under a contract or grant account, reimbursement is limited to the more restrictive of MSU or funding agency regulations. The purpose of the trip must clearly, and preferably without acronyms, indicate the relationship/benefit of the travel costs to the project. External auditors are likely to select travel vouchers for further review based on the total cost and words in the “Purpose of Travel” on the Travel Authorization and/or Travel Expense Report. International travel may require agency prior approval, and if funded with federal funds, must use a US flag air carrier per the Fly America Act. The dates of travel must be within the dates of the project, or expenses should be prorated accordingly. The costs of personal expenses (extra days, extra costs associated with family or friends sharing accommodations, rental car costs not required for business reasons, the costs of meals when they provided by the conference or meeting, etc.) should generally not be charged to any university account, including a restricted account. Any personal expenses should be documented as such and covered by a personal check if direct billed, submitted at the time a reimbursement voucher is processed. Reasonable transportation costs to and from the airport are allowed. Please note that many federal agencies will NOT allow excessive (when compared to other options – car, bus, taxi for short distances) limousine fees. Insurance on Vehicles — Refer to Section 35, Office of Risk Management & Insurance in the Manual of Business Procedures. Travel Accident Insurance — Please refer to MSU Human Resources Life/Accident Insurance. Reporting Accidents — Refer to Section 35, Office of Risk Management & Insurance in the Manual of Business Procedures. International Health Insurance — Provided by International SOS (iSOS) and managed by the MSU Office of International Health & Safety (517.884.2174 or oihs@msu.edu).